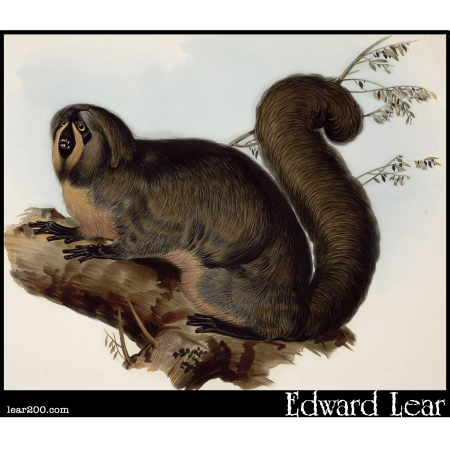 Whiskered Yarke | Edward Lear: Two Hundred Years of Nonsense! Whiskered Yarke. (Pithecia rufiventer.) Now called a "White-faced Saki".